When we opened up our api to partners, we intended it for a whole variety of applications. This makes today's announcement even more exciting, as we're able to offer our users native GPS tracking on their iPhone, complete with direct export to SportTracks. 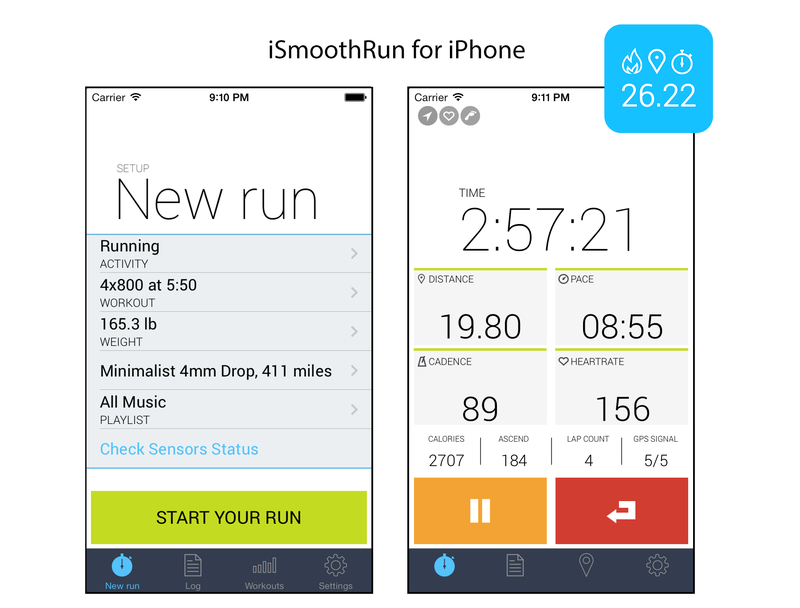 iSmoothRun is an amazing iPhone app for runners, cyclists and triathletes. Developed by athletes, it is designed to cover the needs of the most demanding users. Easy to use yet feature rich, crash proof, with constant development, iSmoothRun offers the most value for money you will ever get by a training device. Coupled with a logging system like SportTracks, it can offer a complete solution for tracking-coaching-logging all of your training. 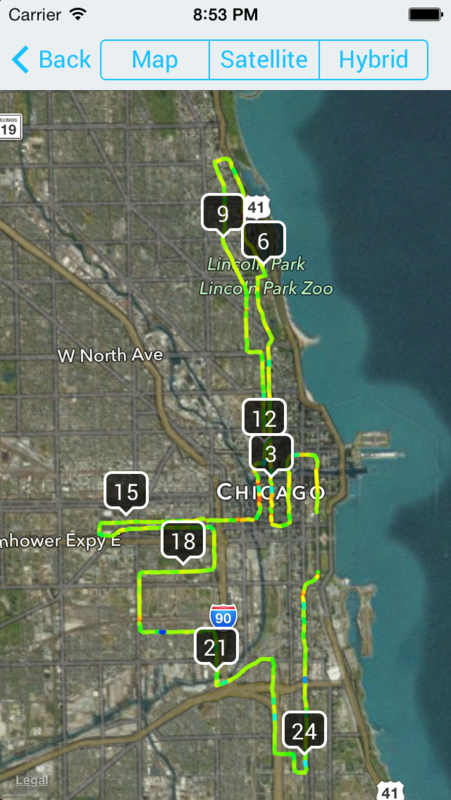 Tracks distance, pace/speed, elevation, climb, track path, cadence, on all iPhones (> 4). It can also track cycling cadence/power and heart rate when connected with external sensors. Can be used indoors cause it includes a pedometer utilizing the iPhone’s accelerometer. Tracks cadence on all iPhone models. Includes an automatic metronome that will help you raise it. 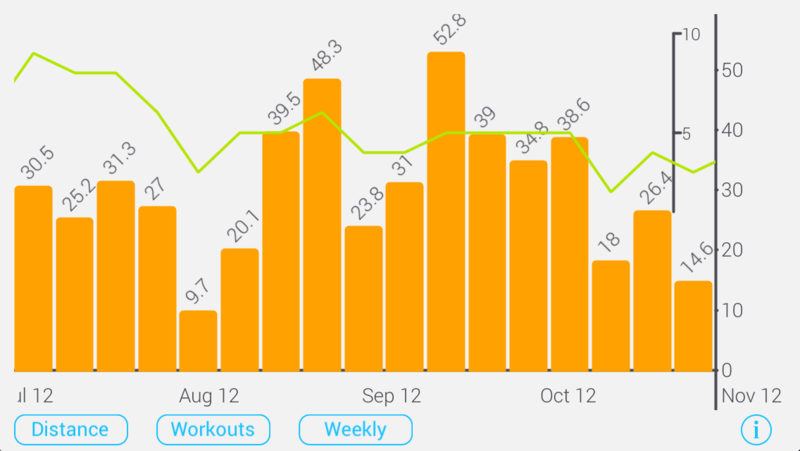 It’s the only app where you can easily define your workout (intervals/tempo runs etc) whether it’s pace based or heart rate based . You can schedule it, and perform it. It will coach you and pace you. No more counting in your head. It’s the app with the more extensive hardware support. Natively supports all BT Smart sensors (HRMs, Footpods, Cycling speed/cadence, Power meters), ANT+ sensors through the use of an ANT+ dongle or ANT+ to BT bridges like the 4iiii Viiiiva HRM or the Wahoo RFLKT+ display. Support for Smart watches/displays like the Magellan Echo, or the Wahoo RFLKT+. Support for the Pebble Smart watch with our own native Pebble app that can be fully customized. Most extensive support for 3rd party sites for sharing your data. 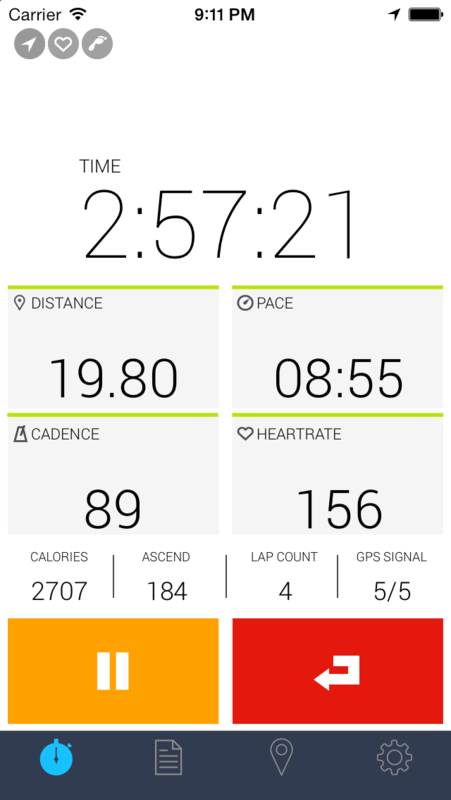 Most importantly the app is developed and designed by active athletes and all the mentioned features actually work.